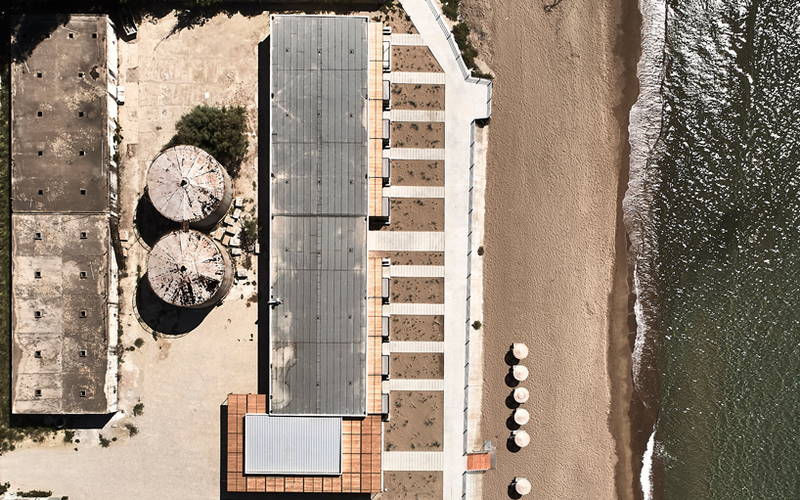 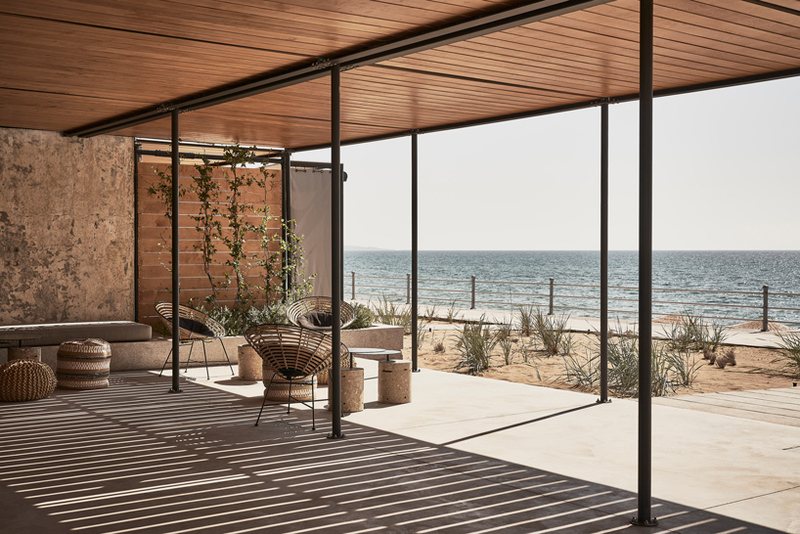 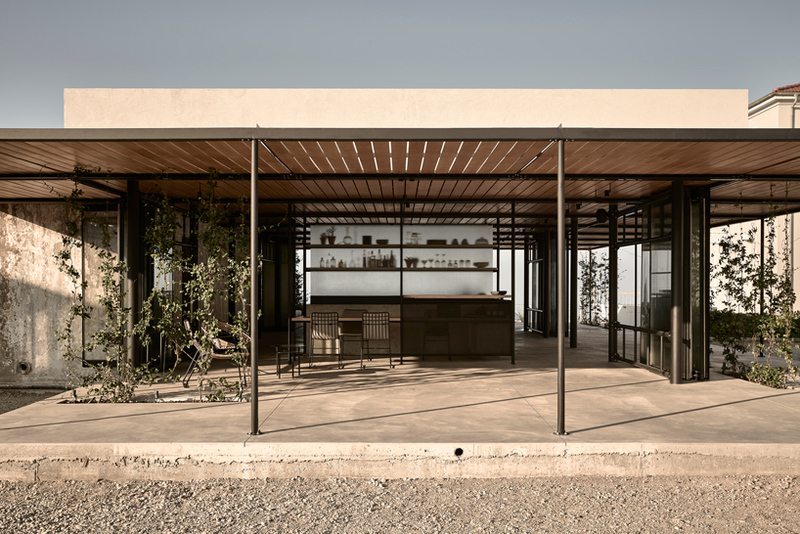 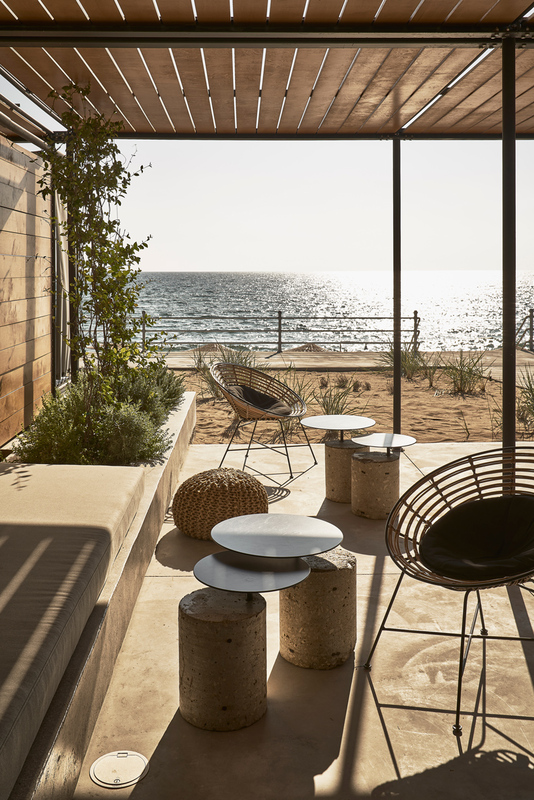 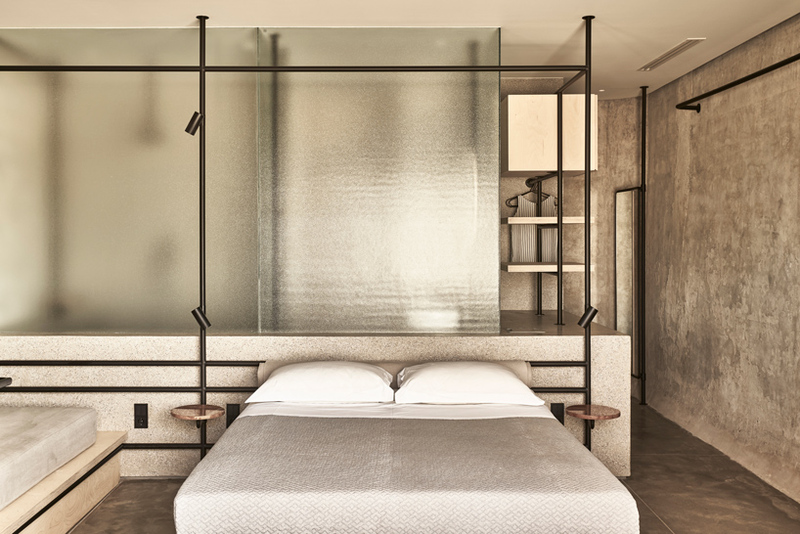 architecture practice k-studio completes the transformation of an abandoned wine factory on the west coast of mainland greece with the dexamenes seaside hotel. 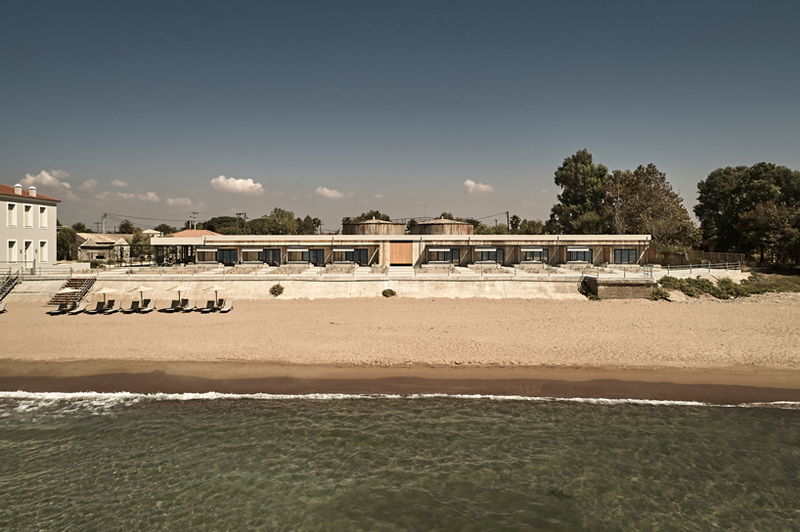 the original structure dates back to the early 20th century collapse of the currant’s trade which resulted in the conversion of unsold currants stock into wine and the development of wineries and distilleries throughout greece. 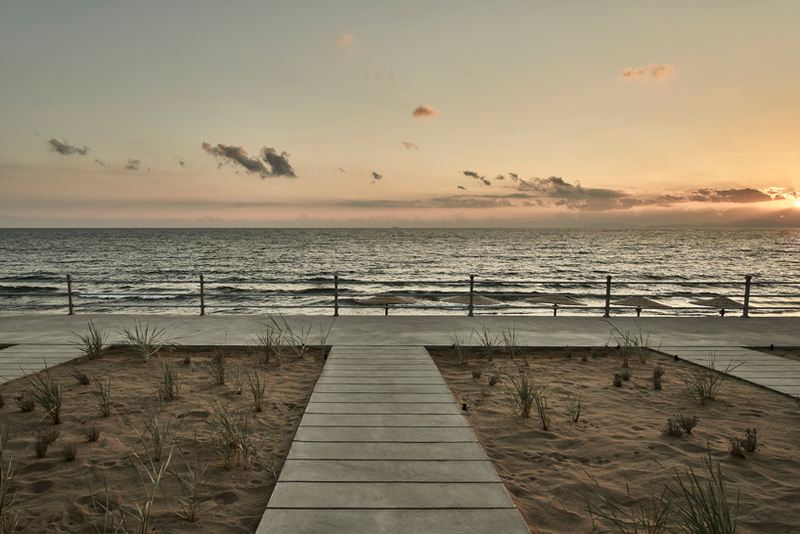 dexamenes was built on the sea so that the ships could be loaded with wine through a system of piping arrayed along the beach of kourouta. 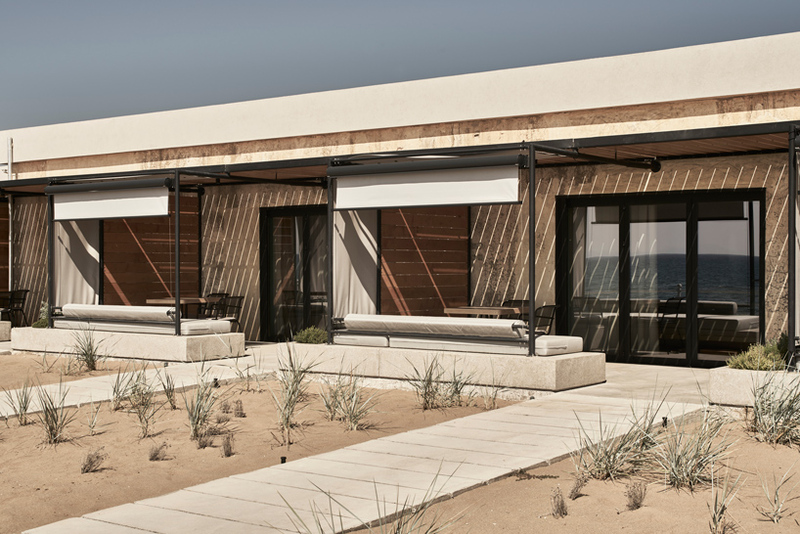 by the 21st century the ultimately derelict structure had been renovated into the coastal dexamenes hotel. 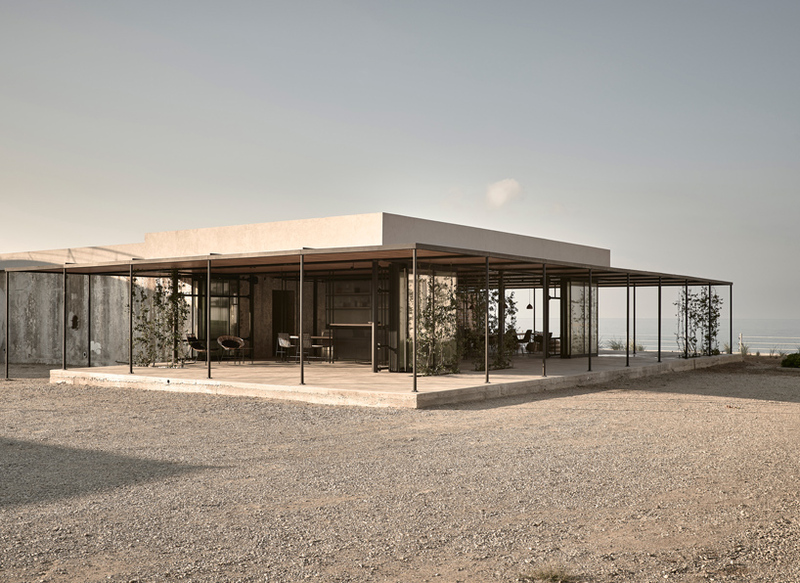 k-studio worked to emphasize the raw materiality of the site, avoiding the introduction of any alien elements or materials. 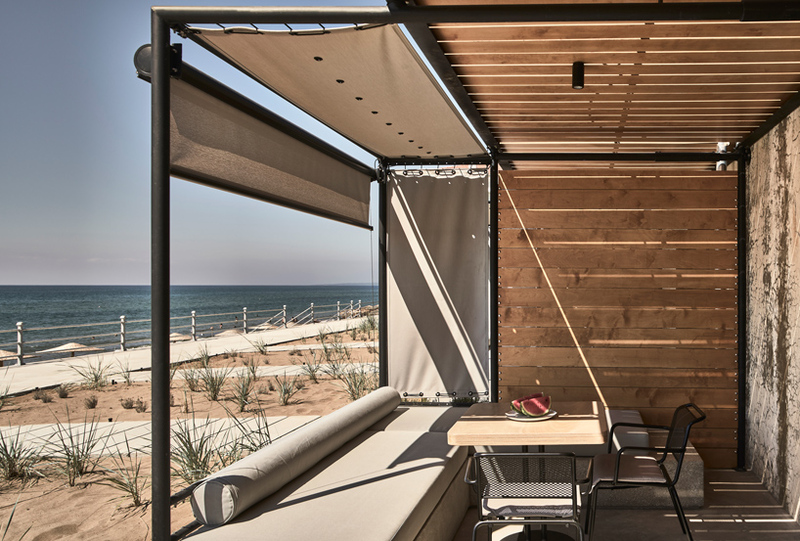 this design strategy guided the studio in the definition of its palette of concrete, steel, and engineered glass with the addition of timber as a reference to the project’s nautical context. 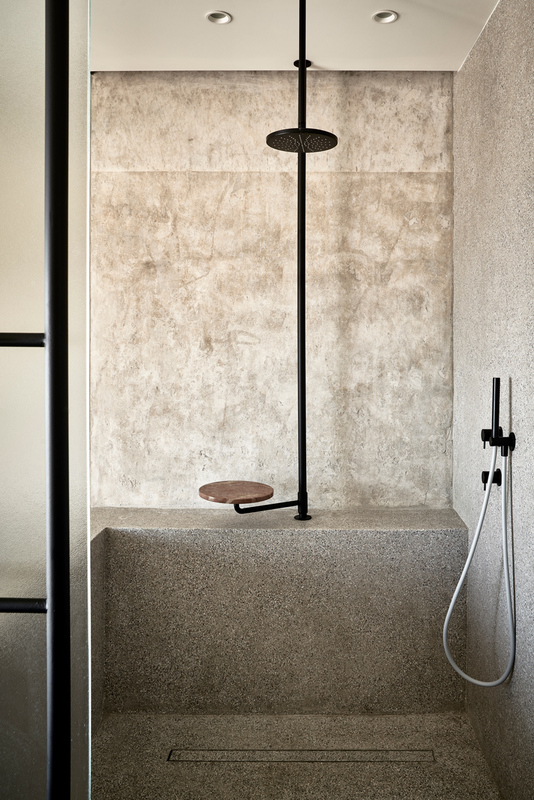 the design serves to contrast and balance the old and new by using a contemporary, industrial palette. 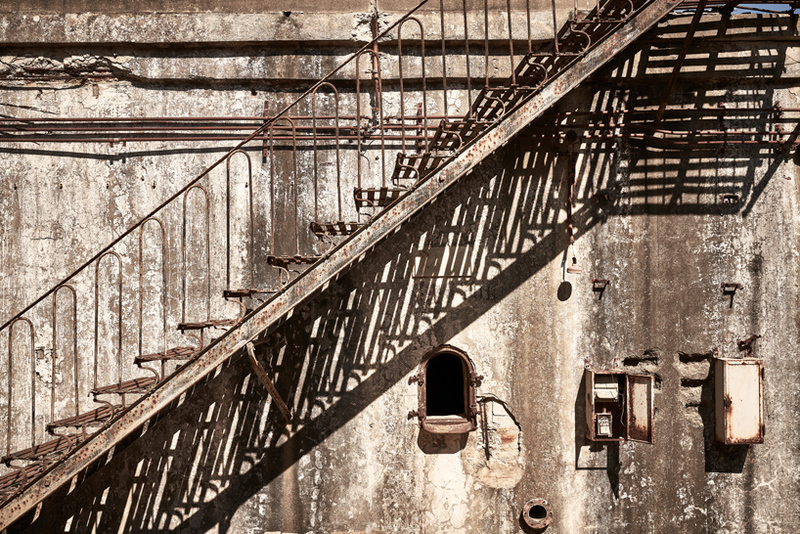 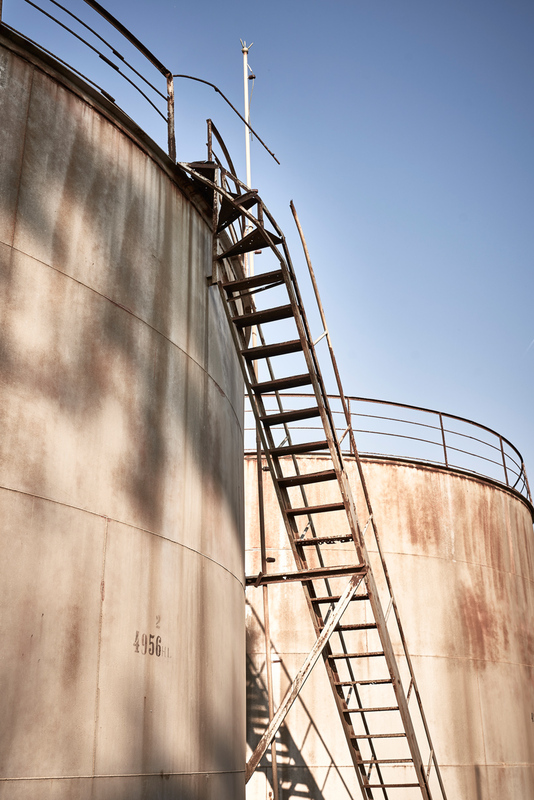 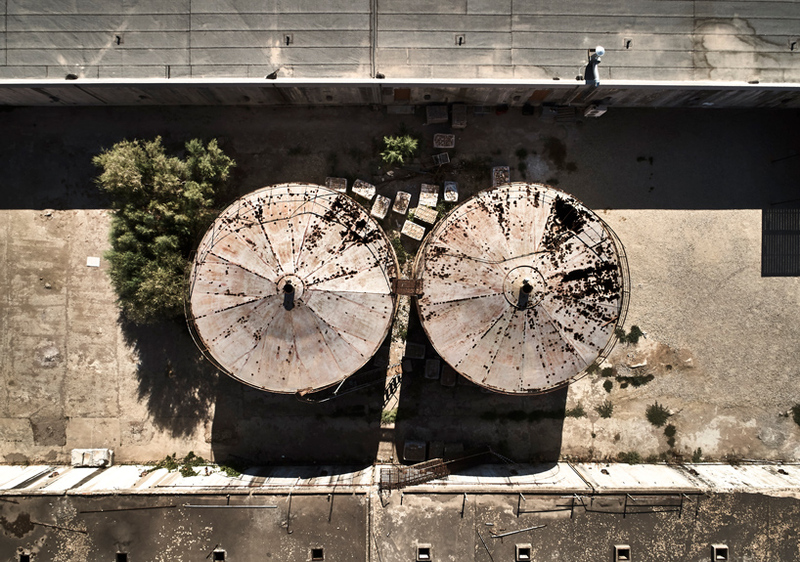 the structure is characterized by two concrete blocks divided lengthwise into two rows of ten storage tanks measuring approximately five by six meters. 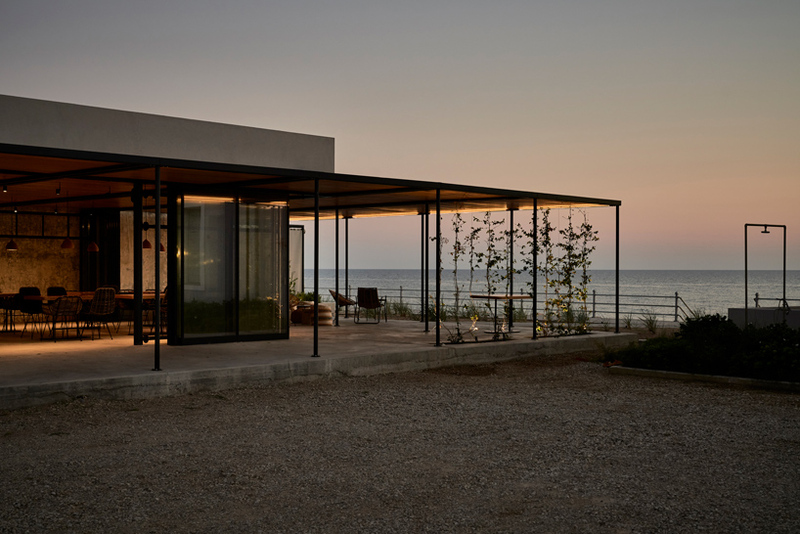 k-studio made use of these tanks in the planning of a row of hotel rooms, opening outward toward the sea.